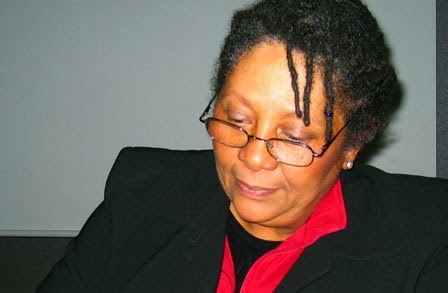 Marilyn Nelson is an award-winning poet who has written many works of poetry, both for adults and young readers. Her most recent books include How I Discovered Poetry, Ostrich and Lark (winner of a 2013 Children's Africana Book Award), and Faster Than Light: New and Selected Poems, 1996-2011. A professor emerita at the University of Connecticut, she lives in Connecticut. 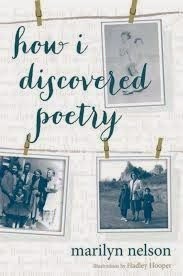 Q: Your latest book is called How I Discovered Poetry. What are some of the themes you explore regarding your relationship to poetry? A: Just being aware of the world outside myself and my nuclear family, being a little bit aware of the natural world, and interactions between people. Q: Many of your poems focus on history. Why did you choose that as an area to write about? A: Like most people who are interested in history, I think there’s a great deal to be learned from history. There are so many rich, true stories; it’s always a resource. If you have nothing to write about, there’s always your childhood—that’s a huge mine. There’s historical gold in there. Q: As someone who’s written about your own personal and family history as well as more general history, how do the two writing experiences differ? A: I don’t know that there’s any particular difference. I wrote about my family history in a book called The Homeplace. I did a lot of research. It’s not enough to know the story, you have to know the world around the story, the knowledge of what’s going on in 1928. For my new book, I spent a lot of time reading old issues of Life magazine, The Saturday Evening Post, Ebony magazine, to reflect what was going on when I was eight years old. Q: How did you come to collaborate with the San artists on Ostrich and Lark? A: I made a trip to Botswana with a friend who wanted me to understand the situation of the [San] people. We drove around the Kalahari for two or three weeks, and we happened upon an NGO that works with the San people. We spent a day or two talking to them about what their work was. As we left, we saw some art by the San people. [The NGO] encouraged people to learn to do artwork. I said, Wouldn’t it be nice if we could find something to do to help them make some money? 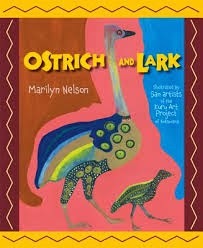 I wrote [Ostrich and Lark] to be a vehicle for their art. The rest of the story is long and complicated. It required a second trip to Botswana. Q: Have you stayed in touch with the artists? A: I don’t know the artists personally; I know the people who worked in the NGO. Q: Has the book helped the artists? A: I’m sure it has. Even the little advance. These are people who have absolutely nothing except the clothes on their back. We put the address of the NGO in the book, so I’m hoping somebody will look them up and buy the artwork. Q: About another of your books: Why did you decide to write about George Washington Carver? A: I had finished doing a series of poems about evil; it was clear to me that there was no limit to the human capacity to do evil. I wanted to see if there was a limit to the capacity to do good. I decided to write about Hildegard of Bingen, a 12th century German saint. I was getting ready to start when an old family friend called and said he was in town. He stopped by, and I walked him to his car [after the visit] and he took out a brochure from the George Washington Carver birthplace and handed it to me and said, I think you should write a book about him. Having loved Carver since childhood, I thought, Why would I write about a 12th century German saint? 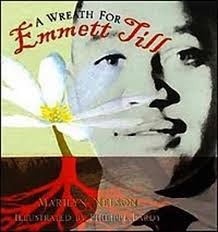 Q: Why did you decide to write about Emmett Till? A: An editor, Andrea Pinkney, called my agent with an idea for a book I could write. She wouldn’t tell us what it was. We had a meeting in New York City; it was icy in Connecticut and very difficult to get there. She said, I’ve always wanted to write a book for children about lynching. I almost fell out of my chair; it seemed like a ridiculous idea. But I thought, maybe it’s possible. I did more thinking, and it became clear that it should be about Emmett Till. Q: You’ve served as Poet Laureate of Connecticut. What were some of your responsibilities? A: There were no real responsibilities, except making the people of Connecticut aware of the existence of poetry. 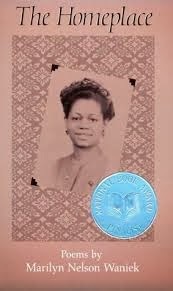 For the first couple of years, I did programs, organized readings, gave poetry prizes to young people. I got donations of poetry books and had bookplates printed, and delivered the poetry books to hospitals and doctor’s offices. After two years, I decided it was more beneficial for me to find Connecticut stories and write about Connecticut. I wrote four books that have to do with Connecticut. Q: You’ve written for many different age groups. Do you have a preference? A: It just happened that most of my books for a young adult audience, I actually wrote for adults. I didn’t think about the age group. 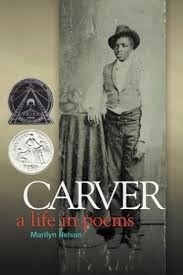 For the Carver book, it got into the hands of a publisher who only published books for children and young adults. It was a really big hit, and other publishers for children asked me to write things. Most of them made clear that I should just do what I want to do. A: I’m working on a young adult novel in verse about the Tuskegee Airmen. I’m really enjoying working on it; it’s the first time I’ve consciously tried to write a young adult book. Now I’ve learned that young adult books have young adults as protagonists. Q: Your father was in the Tuskegee Airmen. Q: Is he a part of the novel? A: No. It’s a fictional novel. I will have a section based on the facts of the entire group of Tuskegee Airmen.